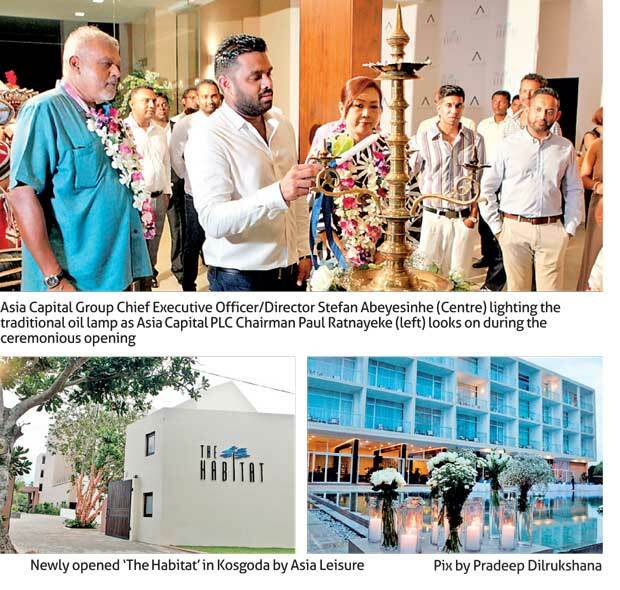 In line with the company’s vision to offer exclusive leisure properties at key selected destinations, Asia Leisure, a subsidiary of Asia Capital PLC opened its fifth leisure property in the southern coastal belt, ‘The Habitat’ Kosgoda on the November28th,2017. Initiated with an investment value of US$five million (over LKR750 million) in partnership with a consortium of Japanese investors, The Habitat provides a plethora of modern luxuries to travellers amidst an alluring atmosphere infused with azure hues of a beach front property situated near a silky stretch of sand where sea turtles frequent. The property is located in Kosgoda in the southern coast of Sri Lanka within 95 kilometers from Colombo and 55 Kilometers from Galle. The tropical themed opening of The Habitat was graced by long-term patrons of Asia Leisure and Asia Capital. The Habitat will be a small-scale luxury hotel that offers all the modern day requirements such as Wi-Fi, room service and its key differentiation being its 26 deluxe rooms as well as two suites offering ocean views from all angles of the room. The property will cater to its clientele’s high expectations with two specialty restaurants, a bar, a magnificent pool lying close to the turquoise Indian Ocean, luxurious ayurvedic bath amenities, spa facilities, a gym and complimentary high speed Wi-Fi. Consequently, guests at The Habitat can look forward to indulge in a luxurious holiday experience and explore the region’s many attractions. “The Habitat will remain true to our signature brand of excellent service standards combined with personalisation and customization for the benefit of our guests. We consistently provide superior service elements to our guests at all our properties with specific focus on allowing each guest to experience a truly personal service that far exceeds their expectation during the stay,” commented Chief Executive Officer/Director of Asia Leisure Reyhan Morris. The Habitat is the ideal holiday home for beach lovers with a penchant towards exploration. Guests at this sea front property can experience a blissful beach holiday experience complete with ample opportunities to laze on the beach, engage in water sports, relaxing hours spent at the spa and savouring delectable and fresh fare served at the two restaurants, Salt and Teppan or even unwind at the Crimson Pool Bar and Moonu the Main Bar. Asia Leisure operates a number of luxury leisure properties including Shinagawa Beach in Balapitiya, Tamarind Hill in Galle, Taprobana in Wadduwa, The River House in Balapitiya and the latest addition The Habitat in Kosgoda. 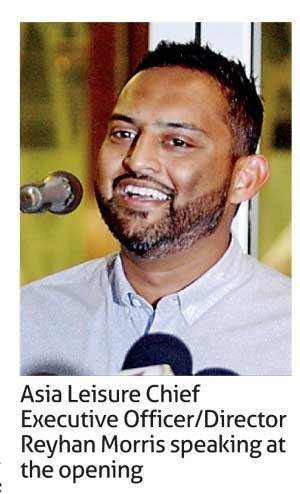 Asia Leisure is currently engaged in an expansion drive to establish multiple properties in Galle, city hotels in Colombo and the Maldives.